How well do you know the significance of Gayatri mantra? 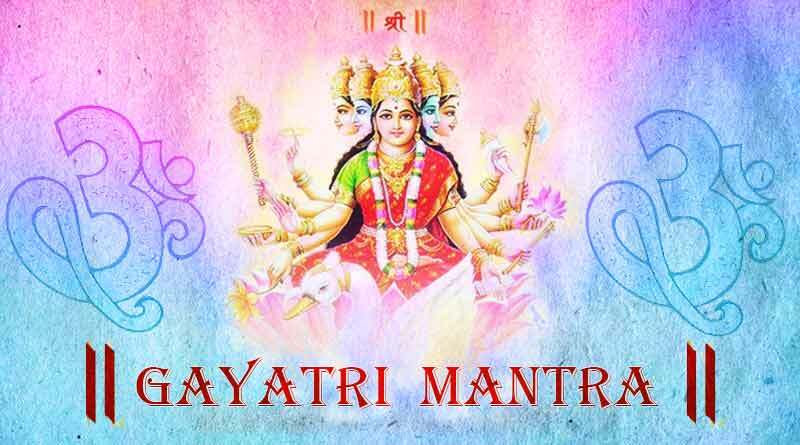 Gayatri Mantra is one of the most popular and beneficial Sanskrit mantras. It is also known as the Savitri mantra and is a highly revered mantra from the Rig Veda (ancient Indian collection of Vedic Sanskrit hymns) dedicated to Savitr, the Sun-deity. It is a prayer for compassion for the sake of liberation. It is considered to have been divided into three parts: adoration, meditation and then finally the prayer. In the mantra, the divine is first praised, meditated upon and finally, the Good Lord is asked to awaken the intellect of a man. Gayatri mantra is helpful in physical, emotional, and mental healing, purifying the karmas, protection from the onslaught of obstacles, and self-realization. It is a sacred chant that displays the unity that underlies manifoldness in creation. The Atma (soul) is one, though the embodied forms in which it resides may be many. The Gayatri mantra is cited widely in Vedic and post-Vedic texts and classical Hindu texts such as the Bhagavad Gita, Harivamsa, and Manusmṛti. Our soul or ‘atman’ is Shiva and our ‘buddhi’ or intellect, is the manifestation of Devi or Shakti; the divine mother. The intellect or core nature of a being can be divided into three parts Sattvik, Rajasik and Tamasik, which are ruled by Satoguna, Rajoguna or Tamoguna respectively. The life and karmas of an individual are greatly guided by our core nature, which then helps carve our destinies. When the nature of a person is Tamasik, it is guided by Hindu Goddess Kali (one of the manifestations of Goddess Durga, Lord Shiva’s divine consort) and the person is violent and destructive in nature. A person whose intellect is Sattvik in nature, his karmas are guided and driven by the Hindu Goddess Saraswati, who is associated with wisdom and knowledge. A person whose intellect and tendencies are dominated by Hindu Goddess Lakshmi is believed to have Rajasik intellect. Goddess Lakshmi is associated with prosperity and wealth. She is the divine consort of Lord Vishnu. The word Gayatri means to go beyond, something that is guided and inspired by a divine mission that can surpass even the intellect. The mantra is an important part of the upanayana (Upanayana is one of the traditional Indian philosophies that marks the acceptance of a student by a guru) ceremony for young males in Hinduism. The chanting of Gayatri mantra also helps sharpen intellect and knowledge. Today it is chanted and sung around the world with reverence and true spirit. It is similar to Lord’s Prayer which holds great significance and quite impactful. It is very soothing and divine in nature and the sounds of which helps bring peace. It has a rhythmic pattern that forms a graceful part of an individual’s daily Spiritual practice. For more articles like the significance of Gayatri Mantra, do Subscribe to our newsletter and follow us on Facebook, Twitter and Google+.